StudioCaribe’s excellent news item on the UK’s Air Passenger Duty makes an important point: the APD is bad for the UK too, and there is a growing movement within UK business to have the tax removed entirely. As the news item points out, the budget announcement that Air Passenger Duty will not rise this year is a small but important victory for the Caribbean – but the fight is far from over. This is the first time we’ve taken a look at StudioCaribe’s YouTube channel and we’re very impressed with the high quality production values and their ability to tell a story. By the looks of some of the other videos they have a compelling documentary in production too – The Smelter Wars – about a community’s fight against a smelting operation that threatens their very lives. It’s well worth your time to check out StudioCaribe’s videos at YouTube. 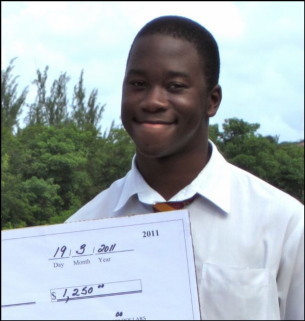 Dudley Ellis of Harrison College took 1st Place honours and won a cool $1,250 in the Age 14-18 category of the 2011 national Canada-Barbados Environmental Essay Contest. Hey, I’d be smiling too! Why is the Environment Important to Barbados? Too very often we look at the environment as something that provides aesthetic pleasure for both locals and tourists alike. However, have we ever consciously taken the time to contemplate what Barbados would be like without a healthy environment? A disease-ridden, desolate and underdeveloped rock is what one could hazard as the possibility. 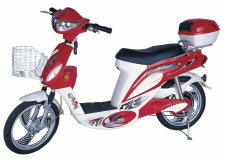 The benefits to be derived from the environment are too numerous for one to exhaust. Among this myriad of advantages, things such as economic sustainability, improved general health of the populace and social inclusiveness are of key note. Christian God, Muslim Allah… same deity? Bajan Reporter publishes image of Jesus giving the finger. Will Bajan Reporter now publish images of Muhammed and Buddha doing the same?